Though there exist many modalities, religions, and paths to God/Source/Creator/Love whatever you call it, at the end of it all there is but one Universal Truth. If you were to study more than one path you would notice a lot of crossover. For instance, in chi kung there is an energetic path that runs up the spine (the governing vessel), over the head, and down the front (the conception vessel) back to the base of the pelvic floor. These two channels together create a loop around the body and when they are clear it is easier for consciousness to flow. It is called the micro-cosmic orbit. In yoga, the exact same channels are called prana mudra. The same is true for the central channel inside us. In Taoism it is called the thrusting vessel and in Yoga it is called the sashumna. The Golden Rule in Christianity is very similar to the Four Noble Guests in Buddhism. They all have similar teachings and dogma though some may emphasize different aspects of the one truth. And they all eventually direct you within, to meditate, where you have direct access to that truth. Even Christianity originally practiced meditation and prayer though now the mediation part is not as commonly practiced.We are in an accelerated time, a quickening of the evolution of the human soul. We are moving from separation to unity. Eventually all modalities and religions will begin to fall away and there will be only the One Universal Truth left. As a matter of fact, it is already happening. If those enlightened ones of the past who brought us great wisdom and the ancient teachings were alive today, they would surely be guiding us to let go of the dogma and practices that no longer serve, grateful for them for they have brought us to this point, and keeping the ones that do while letting in the new energies and teachings of this era. As a matter of fact they are doing just that from the other side right now. Listen within to your inner guidance to hear their wisdom. There can be no change and evolution if we get stagnant in our beliefs and practices. I am not suggesting throwing away all the wisdom you have learned and the practices that have carried you to this point from your chosen path. Indeed, honor them. I am suggesting as we enter a new phase of existence in co-creating a new world of Love of ALL people, kindness and compassion for ALL beings, that you check into your heart to feel YOUR connection to the Infinite and see what still feels true and what newinformation and energetic codes coming in are of value to you. It’s more of a blending of the old and new, and seeing the modalities, religions and paths for what they are, stepping stones to the One Universal Truth of unity and What Is. You can see separation coming apart in our world. Evidence of spirituality being proven in science, alternative medicine is starting to become recognized and even incorporated into the practice of conventional, western medicine, and thanks to technology and social media, people from different countries are forming friendships setting aside their cultural differences and focusing on the humanity that is common in all. And so it is, time, for the old and the new to blend, into the One. If it feels right, call upon the Masters and the Teachers of your chosen path to guide you into this new era or simply create a powerful intention in your heart to know the One Universal Truth that transcends it all. Here is a prayer that has helped me and if it feels right, make it yours, exchange whatever words make it feel right for you. May all beings be guided by Love in every moment of their journey and may the highest and best of ALL be held in the hearts of ALL. I remember one day worrying. Worrying about all the things happening in life and how they affected me. I could feel it all in my body, fear was up, sadness, and frustration. When I sat down to meditate for a few minutes in the middle of the day I heard these words come from my heart. I sat there for a few minutes and let the feeling of the words resonate through my whole body. It was exactly what I needed to hear to shift out of my worrying and remember the Truth. Fear, sadness, anger, guilt, confusion, all of it is just energy. All of it is impermanent. Except Love. Love is the only thing that can’t be dissolved because it is the only thing that is real. Love is truly all there is. And when you embrace all the ‘other’ feelings with Love, guess what, they turn back into Love. Leaving you feeling even more expansive and loving. The more we face our shadow the more it turns back into Love and the more we have to share with the world. Never be afraid of your shadowy feelings, they are your fuel to embody more Love. They are Love, YOU are Love, Love is truly all there really is and nothing is more powerful than Love. It can be hard to remember when we are right in the midst of it, with practice it will become easier and easier. So face into anything that bothers you or scares you with Love knowing you are wielding the most powerful force in the Universe. And please, if you ever feel down, sad, not good enough, dirty or tainted, please make that phrase above yours and remind yourself who you really are. You are the power you seek, it is within you. Loving yourself! It’s that simple. When we truly love ourselves, we don’t feel a need for anything outside of us and we are free to give and flow love out, create whatever we want and be of service just for the pure joy of it. This does not mean we shouldn’t receive love, of course we should. However, feel into this… feel what it is like to truly love yourself and receive love without any expectation or need to receive love. Now feel what it is like to need to get love to feel better. Feels very different doesn’t it? The truth is, all the love we will ever need is within us and all the rest coming our way is just a beautiful dance and flow of it swirling around and being reflected back to us. In fact, if you aren’t full from within you might not be even able to really receive what wants to come to you from another. The most powerful love you will experience is the love your own soul has for you. Embodying your Soul, your Divine Self, is filling up with Love from within. How do we do that? We first choose it to be so, then we prepare our bodies to hold a higher frequency than what we currently vibrate at. This is not a one time experience then boom your done, it is a process. Many of you may be well underway with it. I have found that if we do not do the work to allow our bodies to run more life force energy consistently, and activate the sacred heart then the beautiful experience of fully embodied Love will come and go, drifting in and out in peak experiences yet, unsustainable. Luckily there are many tools to learn to consciously manage your life force energy and open and expand your energy channels. Breath, specific physical movements, and learning to use the mind to direct it is essential. The Breath of Oneness workshops are expanding to include more techniques for you to learn and practice in your own integration process. May we all fill up from within and send Love and Peace out into the field of consciousness that connects us all. One Love, One Mind, One Breath! Our True Essence I was sitting at the beach in front of some very large homes and saw a sign that said “Private Beach” and I thought how silly it is to think we can own sand, rock or part of the ocean, all a gift for all from our beautiful Mother Earth. Even a home we don’t really own, we have simply paid money to be a temporary custodian of it and all ‘things’ in our life, the same. All we really ‘own’ is our breath and the essence of our being. Even the breath is temporary, all that is left is our essence, Love. Love is all we really ‘own’ for it’s who/what we are. What we do with that Love is what matters. Love All, Serve All, no matter what the seeming circumstances may be or how the ‘other’ may be showing up. Be Love no matter what. That is the path to Truth and Freedom. Love is the alchemical fire that transmutes all the other energies, (fear, sadness, evil, greed, etc.) back into Love. You don’t have to be a spiritual leader, or super enlightened, there is only one Love and you are it in every moment, no matter who you are being or what you are doing. We are all the same Pure Essence. Love All, Serve All. May we all be liberated from illusion to see through the eyes of Spirit with clarity and truth and engage in the game from there. May we all play full out and create a wonderful life of love and service. Energetically Speaking – Judgment. When we judge people, even if it seems harmless like, “your are more of a creative type than an intellectual type” or even, “he’s quiet and shy” we limit people. We box them in. The same is true for ourselves, any opinions we have about ourselves can box us in too. Because if you are one thing than it implies you are not another, limiting you. Also when we judge another, they feel the limitation energetically even if you don’t speak the judgment. Have you ever noticed how expansive you feel when you travel. Because you have left behind all the stories people who know you have about who you are. In truth we are all evolving so rapidly these days, we are truly new in every moment. The more we can allow ourselves and others to be UNDEFINED! (woo that feels good just typing it) the more freedom we have for unlimited possibilities. We are in truth, completely unlimited. It is only our thoughts or opinions that limit us. And it’s fun, even with people you have ‘known’ for a long time to look at them new in every moment. So, watch your thoughts about yourself and others and choose to see with fresh eyes completely letting go of the past and watch with fascination as fun and miracles show up. Choose to see the Divine in all things. Think LOVE! Crystalline Energy There is a Crystalline Grid surrounding the planet, and it is growing stronger. We are all connected by this grid. You can actually tune into it and listen to its frequency. You can hear it hum. Through the Crystalline grid, the vibration we each hold and the thoughts we think are shared with everyone and have an effect on humanity as a whole. We are all One. We can activate this grid and make it stronger through invocation and intention, supporting the ascension process of all humanity. Once again, the thoughts you think and the vibration of love you put into the grid have an effect on everyone. Of course the greatest service you can offer is to heal yourself, clear your karma, and raise your vibration, which then contributes to the overall vibration of the collective human consciousness. Not everyone can or will do this. If you are visiting this site, then you are one who has chosen to do this and I thank you. Even if you are just starting on your path of healing you are of service to the greater good of all. 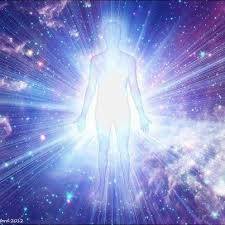 The more Crystalline energy we take into our bodies, the more our True Self can emerge. The Crystalline energy is a very high frequency that assists us in raising our vibration, which allows our higher self to completely occupy the body. This is experienced as a feeling of deep peace, clarity and the sense of being connected with All That Is, being One with the Universal Mind and the deep knowing that all you seek is within. Learning to work with the Crystalline will empower you to create great change for yourself and for the collective. The planet is surrounded by a Crystalline grid, our bodies are transforming into Crystalline Light bodies, and Mother Earth’s core turned Crystalline on the Winter Solstice of 2012. We are completely surrounded and connected by a field of Crystalline Energy. It’s all about the Crystalline. Please check out the Services page on this site to see how you can begin to work with the Crystalline Energy.